WARNING: This podcast contains strong language and mature content. 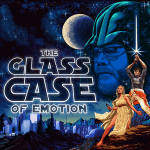 On this episode of the Glass Case of Emotion, Ryan and Chuck are joined by Dave Blaney who sheds insight on life with Ryan as a kid. Plus people in Paris peeing in mailboxes?